- On New Year's day Whitney and I drove to Underhill Vermont area to meet Matt and Tim for two days of hiking in the Green Mountains. 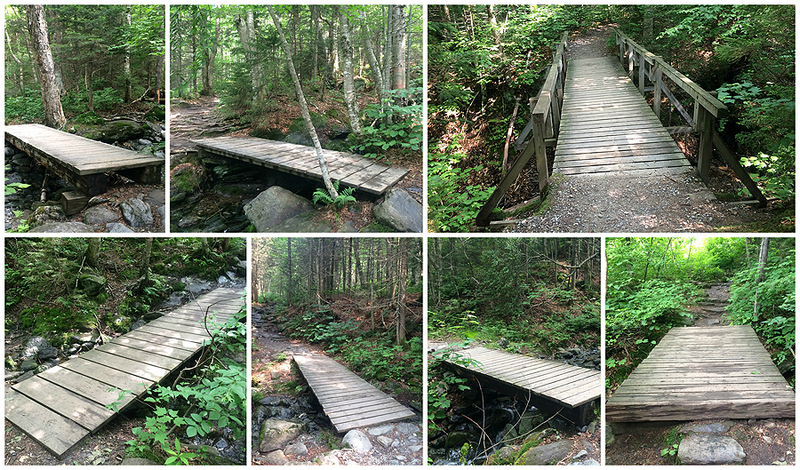 - On Monday we enjoyed a beautiful morning hiking Mount Mansfield via the Sunset Ridge Trail. This trail is my preferred route up to Mount Mansfield as half of the hike is out in the open with terrific views to the west of the Adirondacks. The grade and footing is much easier than the Long Trail approach from the east side of the mountain too, which is in the woods for most of its length. - We used microspikes until about a third of a way up the ledges, then we put on our crampons as it was cold enough early in the morning for our light traction to not bite into the ice as well as the crampons. 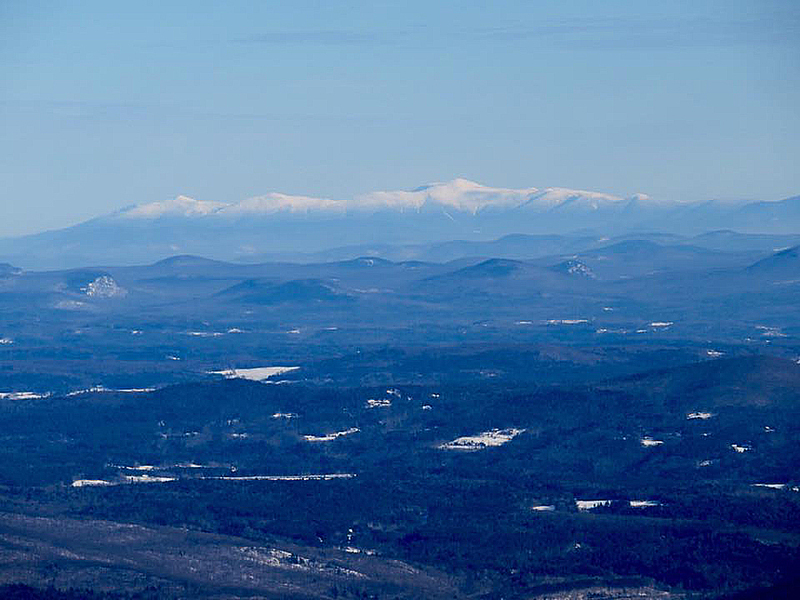 - Views from the summit were incredible, to the east we could see the White Mountains and the Presidential Range rising up high above everything else. To the west we could clearly see many of the Adirondack High Peaks. There was barely any wind at the top which made the early morning summit very enjoyable. On the descent we ran into well over a dozen hikers heading up to enjoy the bluebird day. 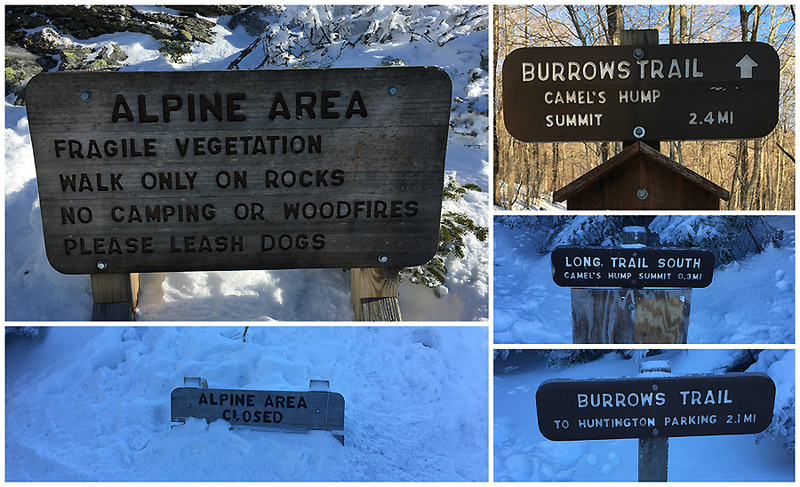 - When we got back to the car we drove over to Camels Hump State park and started hiking up the Burrow's Trail around 12:30PM . My previous two hikes up to Camel's Hump was by the way of the Monroe Trail on the east side of the mountain. The Burrow's Trail is shorter and quicker and makes easy work of the mountain. As we ascended, dozens of hikers were descending and when we reached the top there were only a couple of hikers at the summit. Views from the summit are 360 degrees and excellent, not a bad second hike to cap off the day! On Tuesday, the weather was going to get nasty in the afternoon up on the mountains and down below, sleet-snow-ice. However, there was a window to get a hike in and avoid having to hike and drive in these conditions. We spotted my Jeep at the Jerusalem trailhead and drove over to the Battell trailhead and started hiking at 7am. 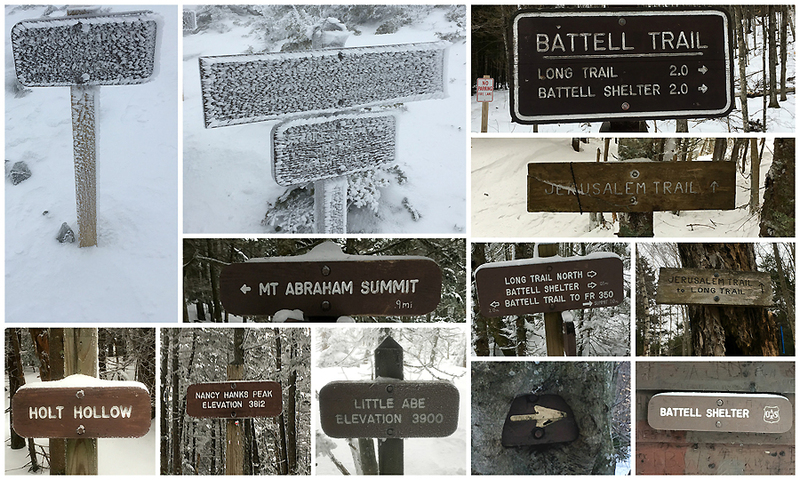 The Battell Trail is a nice steady climb up to the Long Trail, there are quite a few switchbacks over the first mile followed by a moderate climb to the ridge. - Once we hooked onto the Long Trail, we headed north an quickly made our way over Mount Abraham's exposed and very windy summit, luckily about fifty feet past the summit the trail heads back into the woods. 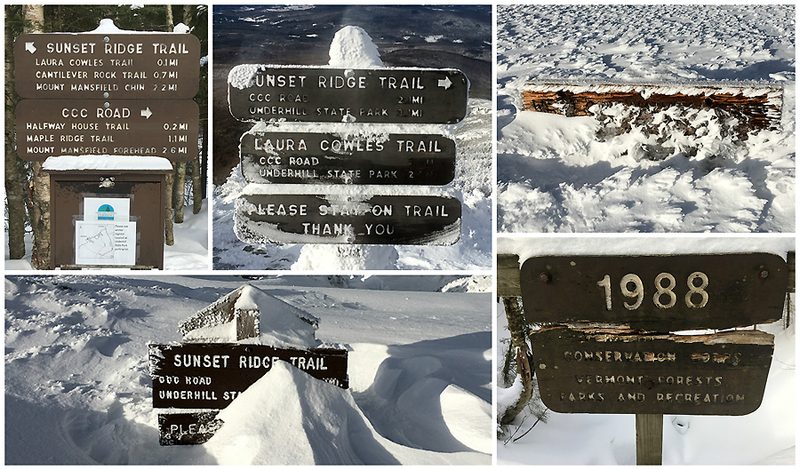 - For the hike along the ridge between Abraham and Ellen we put on our snowshoes and enjoyed a great snowshoe hike for the next 3.5ish miles. The wind was whipping but it real wasn't too uncomfortable as the pine trees covered in snow blocked any direct blows from the wind gusts. 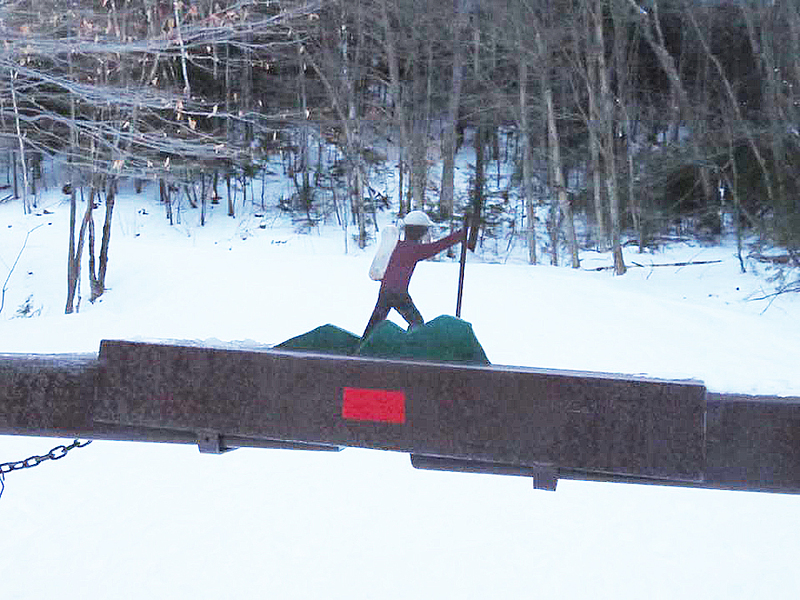 - The interesting thing about this part of the Long Trail is it passes by three chairlifts from Sugarbush Ski Area. 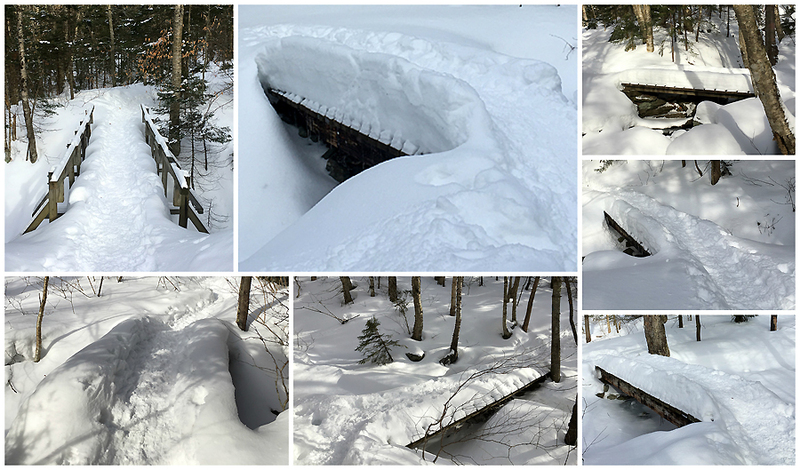 If you are hiking the Long Trail in the winter and heading north, every time you reach a chairlift, head left and down the ski trail for a few hundred feet then head left into the woods. The trail can be confusing on where to go at the chairlifts so just pay attention. 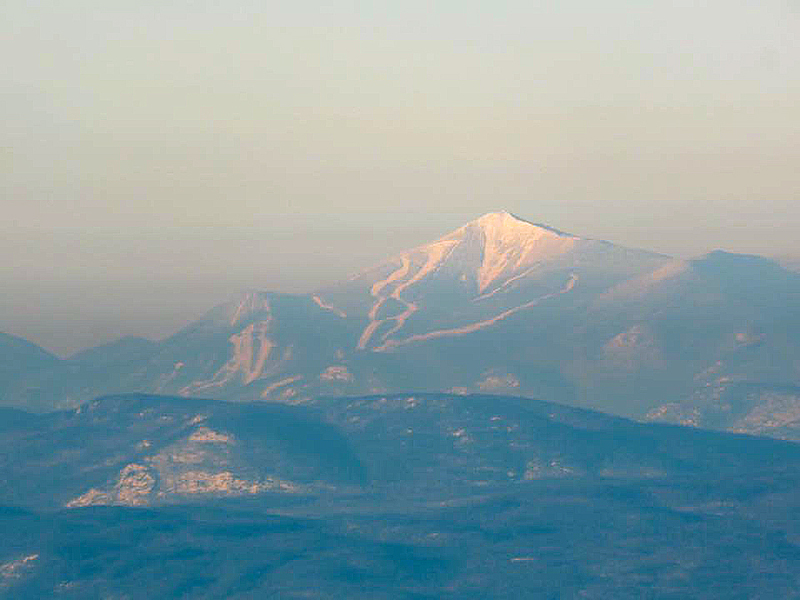 - Unlike Mount Abraham, Mount Ellen is just a small cairn on the side of the trail so it's not really exciting. However, just a few feet past Ellen is another chairlift with a great view, although there were no views on this day for us. - From here we had to break trail for a little bit until reaching a ski glade section where the trail became well broken out again to the Jerusalem Trail junction. Once on the Jerusalem Trail it was all downhill and an easy hike back to the Jeep, passing by a real extravagant maple syrup operation over the last mile of the trail. After an easy mile or so in the woods we pop up above treeline for the remainder of the ascent. 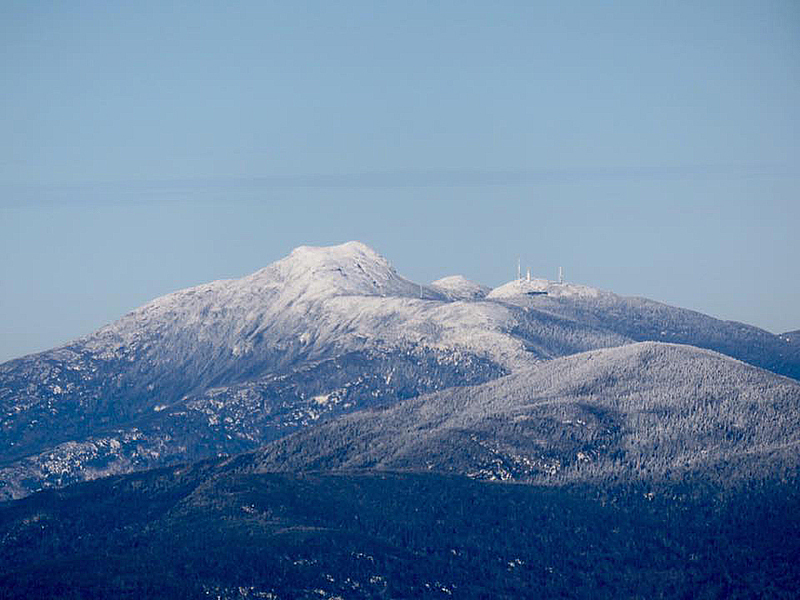 If you hike Mount Mansfield, wait for a good day and hike up the Sunset Ridge Trail, definitely worth it! 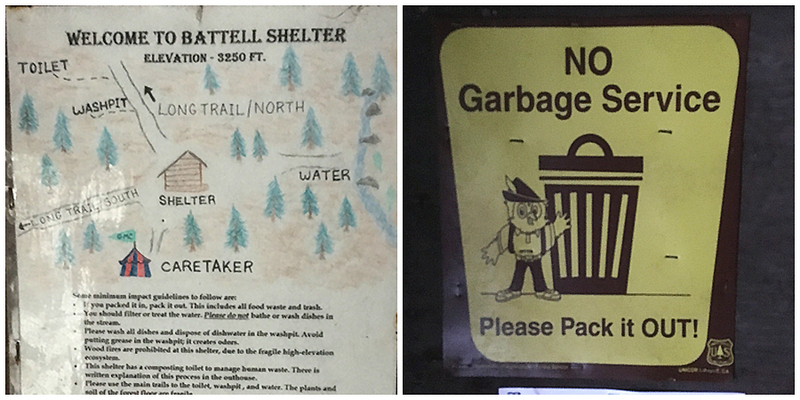 Inside the shelter is a map, and Hooty, the give a hoot don't pollute Owl! Great report! Been looking forward to it since seeing your Garmin Connect entries. Working on WNH48 this season, but hope to get some more NE67 bagged starting in the spring.